Camping at Weston Park Model Show has always been an event in itself. Whether tenting or caravanning you are sure to be sucked into the party atmosphere of the show, and staying on site you will be able to take full advantage of the late-night flying and entertainment. The park offers excellent caravan and camping opportunities set amongst the 1000 plus acres of parkland. The cost for staying with either a caravan or tent for up to three people is £70.00 if pre-booked* or £75.00 on the gate. Additional persons aged 16 years or over are charged at £12.00 per head. The ‘Camping Pass’ gives access to the park, gardens and show and is valid from 10:00 on the Thursday prior to the show and expires at 12:00 on the Monday after the show. Please note there are no showers on site. If staying on site is not for you then Lilleshall offers excellent ‘value for money’ accommodation in the beautiful Shropshire countryside. Hotels and Bed and Breakfast are available very close to Weston Park or a little further (15 minutes from the park) places you in the centre of Telford. Reduced rates for our guests are often available. For local accommodation please visit www.lilleshallnsc.co.uk or search ‘Weston Park’ on any reputable travel website such as TripAdvisor or Booking.com. 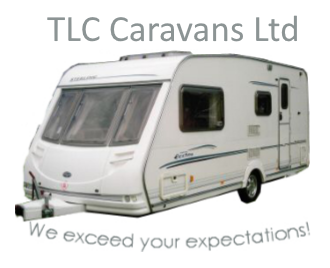 If you wish to hire your own caravan please contact our friends at TLC Caravans by clicking the image below. Generators are permitted but must be switched off between 22:00 and 07:00. Wrekin model flying club do not offer a refund on products, services or facilities offered or given. *Pre-Booking is available up to 14 days prior to the show. After this time you will be required to pay £75.00 at the gate upon arrival. PayPal and all major credit and debit cards accepted.